Mt. 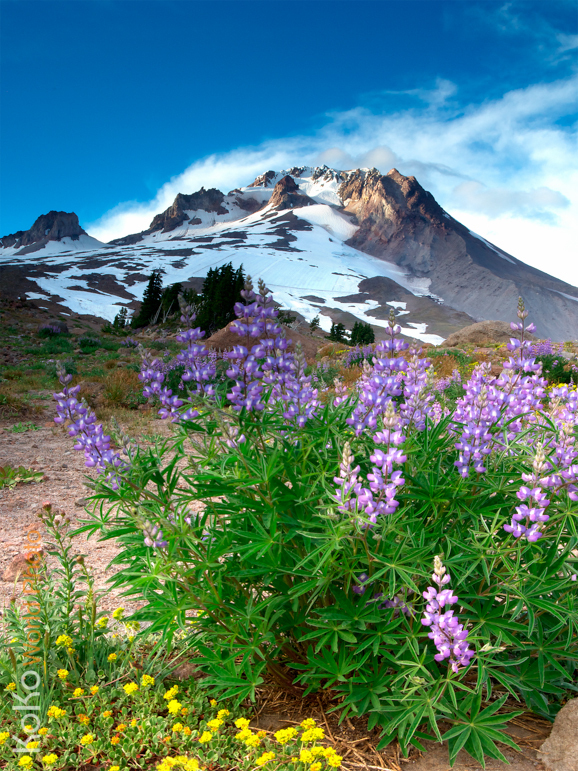 Hood glows brilliantly beyond Oregon’s wild Lupine flowers. What adventures lie beyond the beautiful foreground to the rugged, snowy peak beyond?